In this episode of The Drum Hang we dig into the drumming of Bill English. Mr. English was a very musical and swinging drummer who made a simple 12 bar blues sound unique for each melody and the musicians playing it. Our two examples in this episode are Mo-Lasses and Chitlins Con Carne. 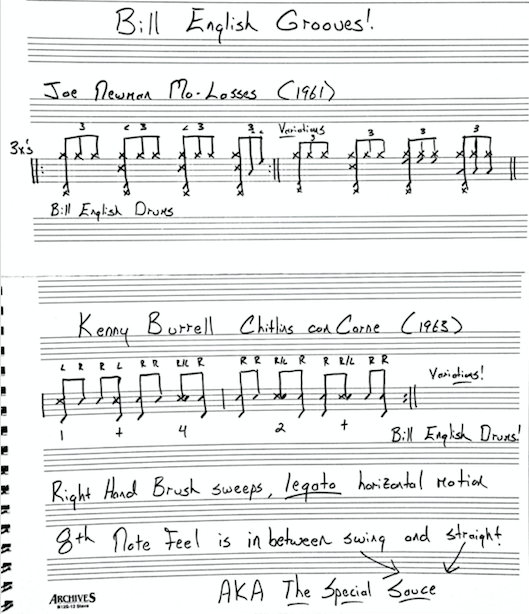 Use these grooves on your next gig and credit the master Bill English!